The Cultural Resource Ordinance (CRO) was adopted by Tribal Council in 2013, and approved by the Advisory Council for Historic Preservation (ACHP) in 2016. This historic agreement allows federal projects taking place on Seminole Tribe of Florida lands to be reviewed under the Tribe's own CRO, rather than outside regulations. The agreement is a huge step for Tribal sovereignty, and places control of cultural resources back into the hands of the Tribe. 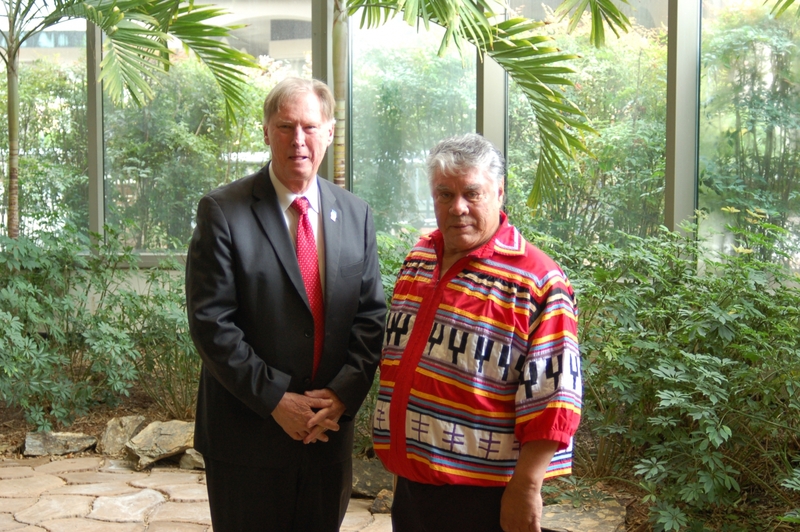 Seminole Tribe of Florida Chairman James Billie, and ACHP Chairman Milford Wayne Donaldson at the CRO signing March 24, 2016.